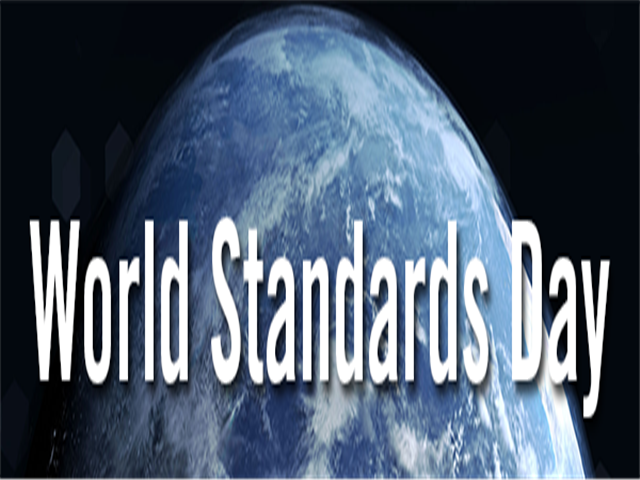 World Standards Day pays tribute to the thousands of men and women all over the world who develop voluntary standards for the advancement and welfare of societies. It also provides the perfect opportunity to reflect on the benefits that standards bring to our everyday lives, the maket economy and to the smooth running of public affairs. We are living in a world that is undergoing profound transformations at all levels. Economies have never been more interdependent. Today, products that are consumed in one market are no longer made in one country; they are made in the world. Before they get to the end-consumer, they transit through many countries where manpower or parts add value to the final product. Small and medium enterprises that use international standards will find it easier to get their products certified and are better able to compete and sell anywhere in the world. With international standards SMEs are able to take part in global value chains and benefit from technology transfer. In a multi-polar world, where the influence and economic weight of emerging economies is shifting the balance of power, international standards stimulate trade, overcome artificial trade barriers and help level the playing field. This makes companies, industries and economies more competitive, making it easier for them to export, and stimulates diversification nationally and internationally.